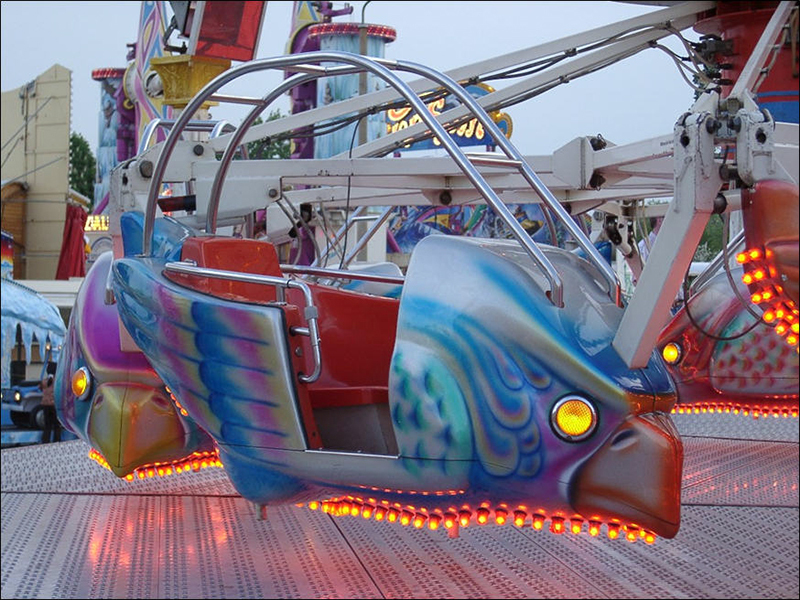 CONDOR is one of the very successful HUSS® Classic Rides with a broad family appeal. 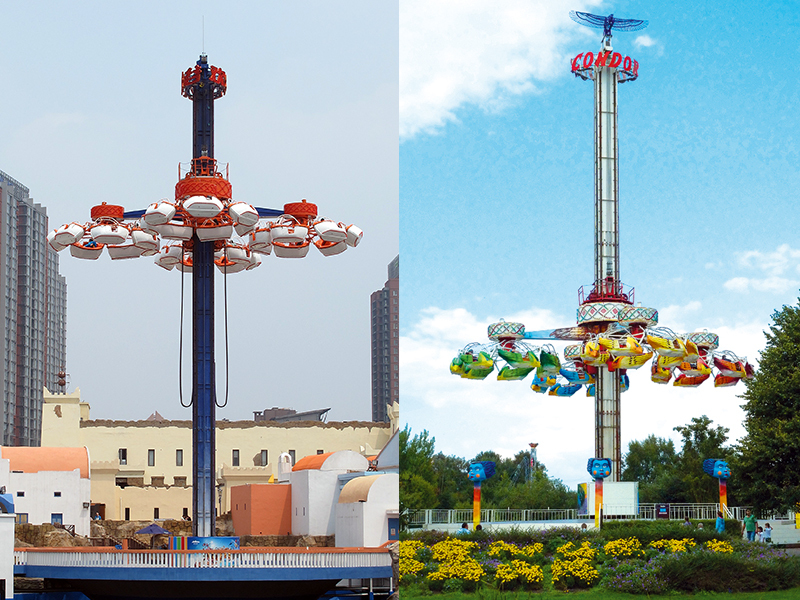 The ride design has recently been completely renewed and improved as CONDOR 2G (2nd Generation). 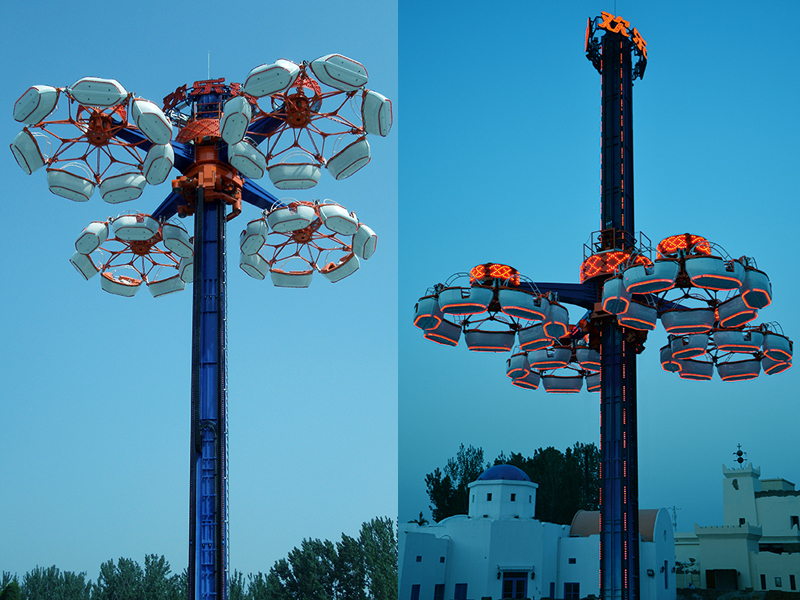 With the impressive visual impact of the ride structure and its movement, CONDOR 2G creates a striking and highly decorative landmark for every venue. 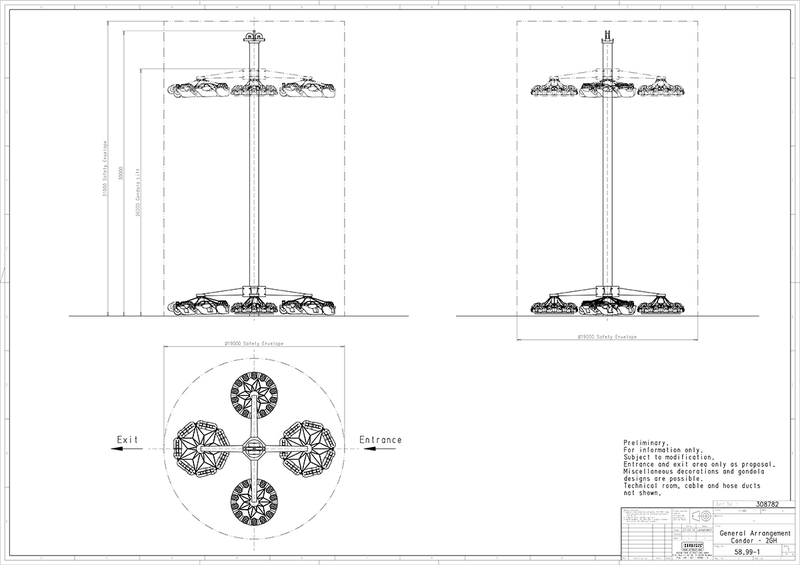 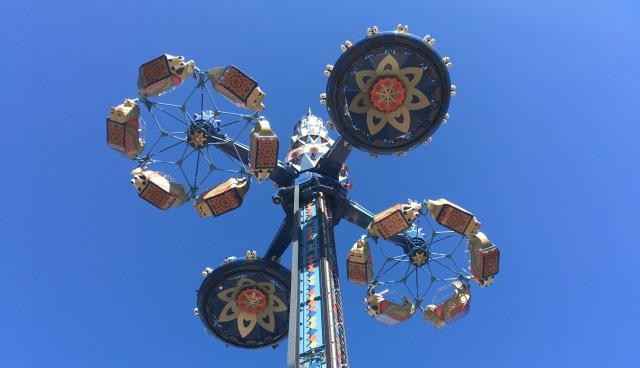 The attraction’s main components are a foundation base frame, a square shaped tower of 31m in height, a lift assembly and four radial spar boxes carrying the ‘satellites’ which are star shaped steel frames. 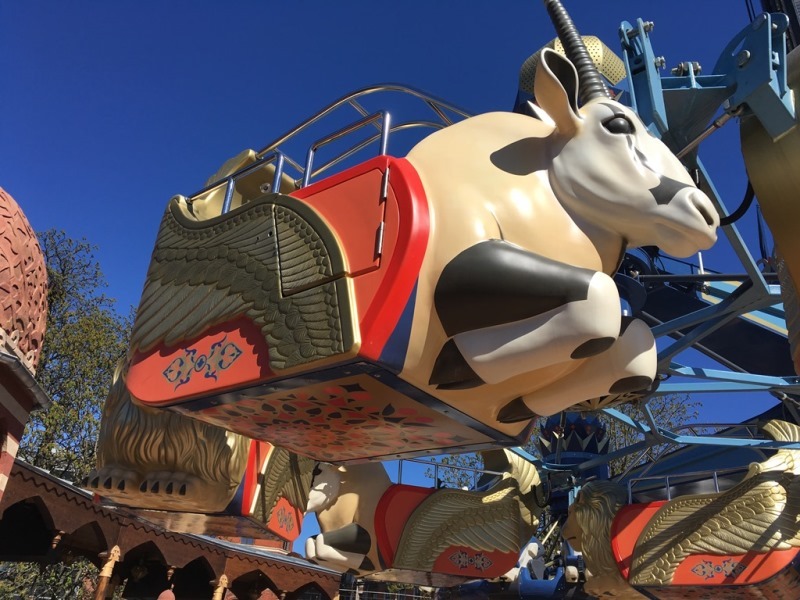 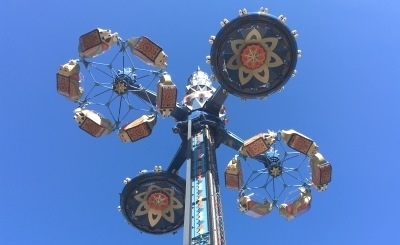 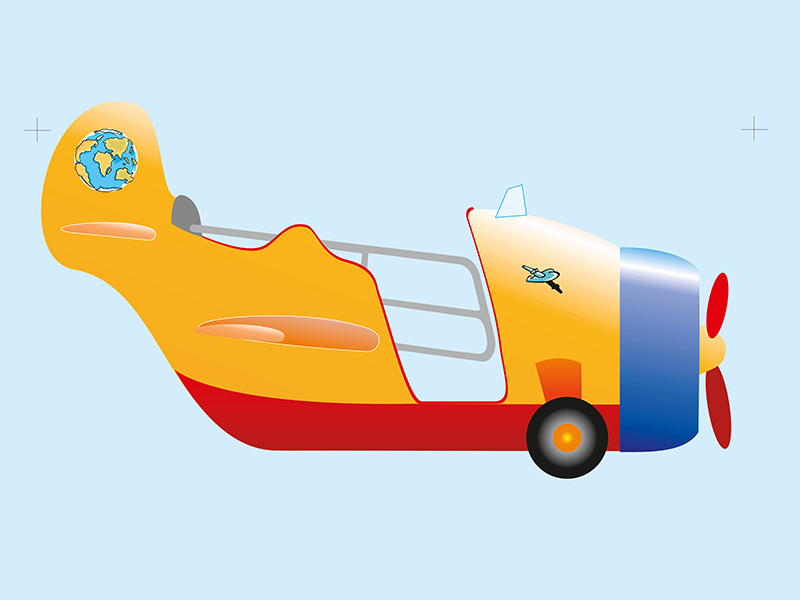 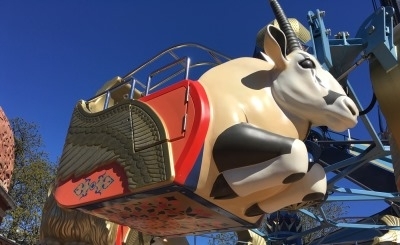 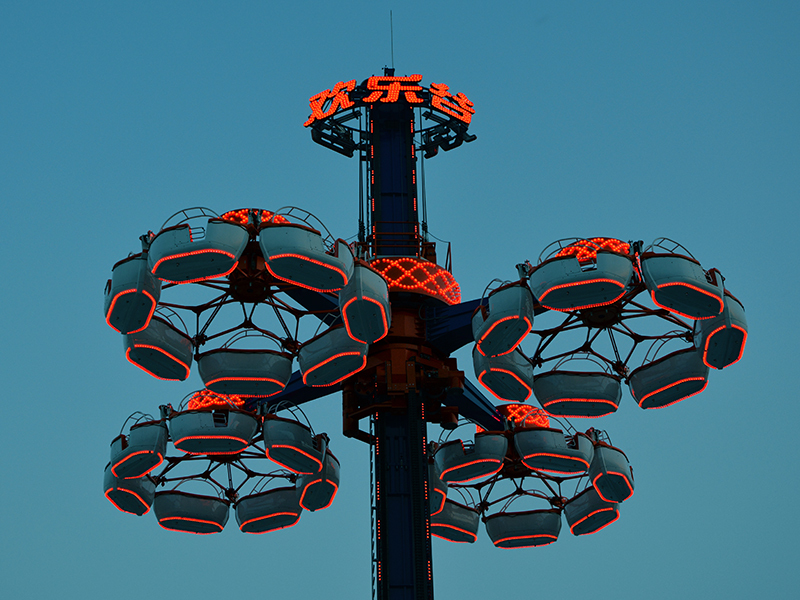 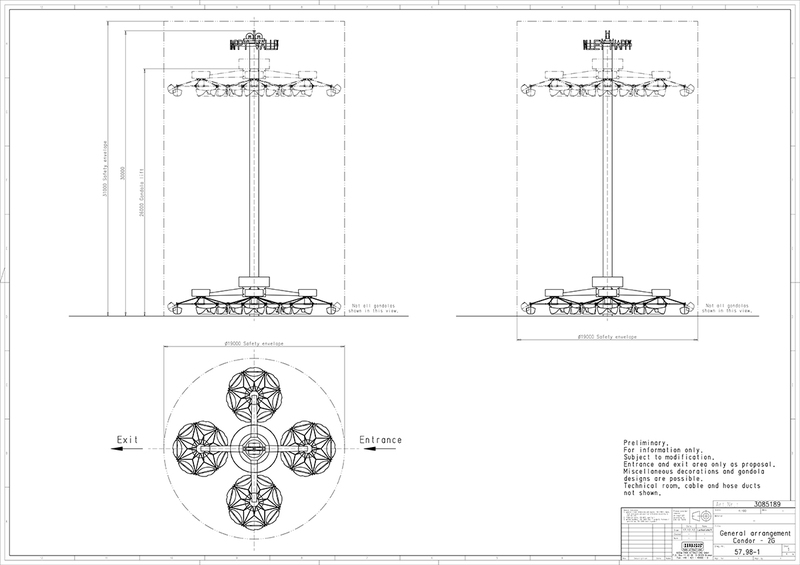 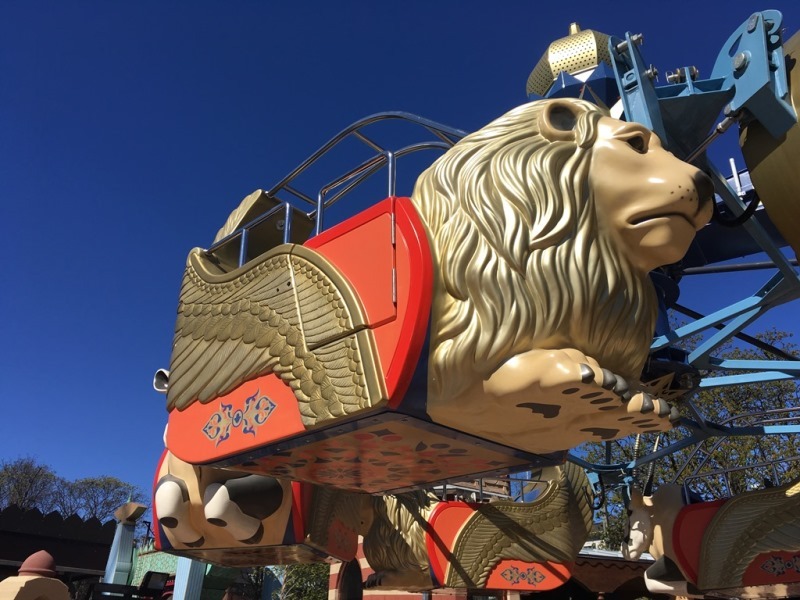 The ride carries a total of 56 passengers who are lifted at 0.8m/s, while the central rotation moves at 8rpm and the gyros counter rotate at 22rpm. 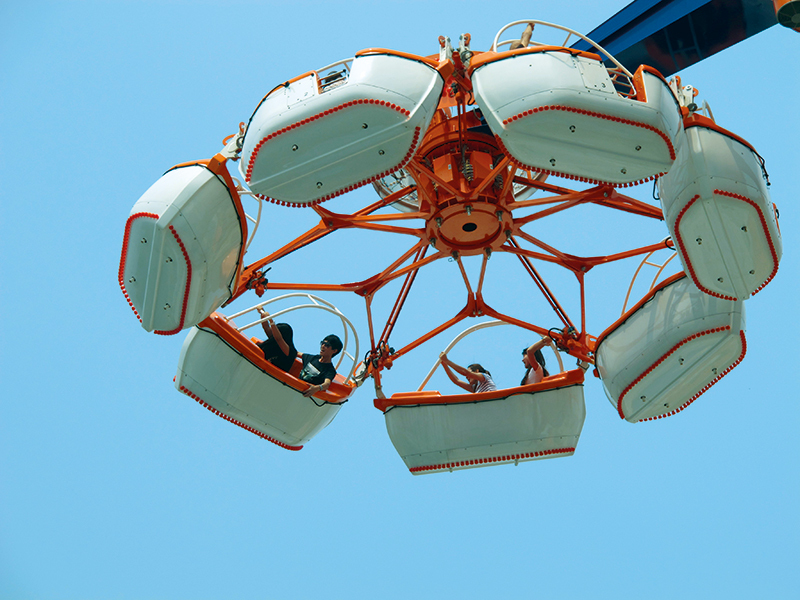 This results in a swift but comfortable movement with a pleasant acceleration towards the centre and a swing outwards at the extreme radius. 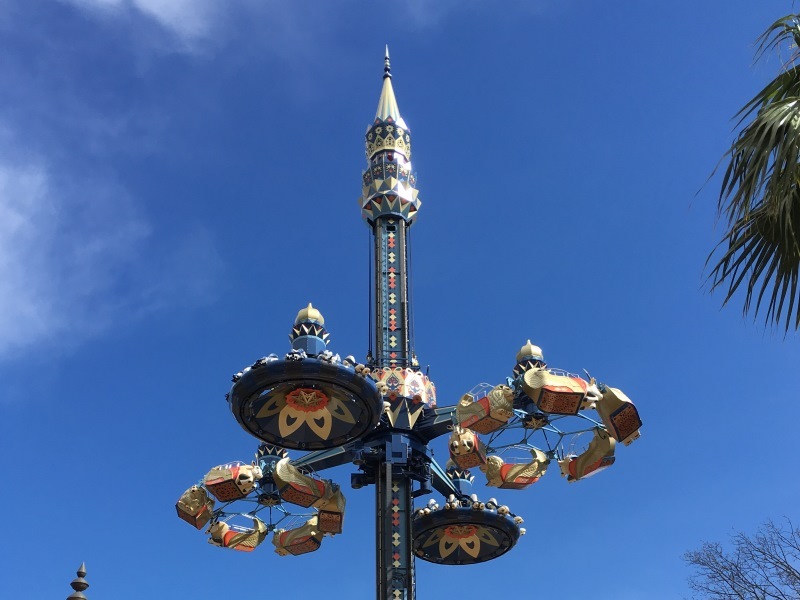 Upgraded with a newly developed mixed seat arrangement, the hybrid version of the ride, CONDOR 2GH (2nd Generation Hybrid), combines suspended seat gondolas and classic style gondolas. 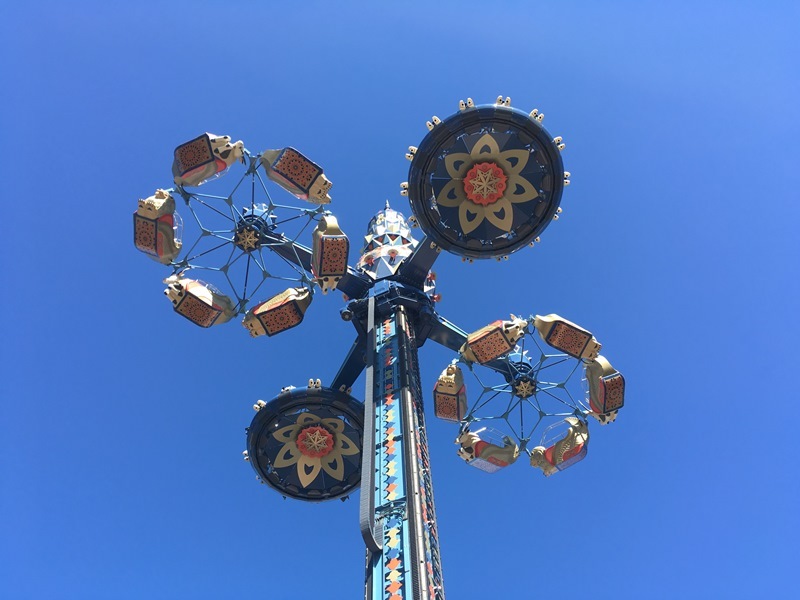 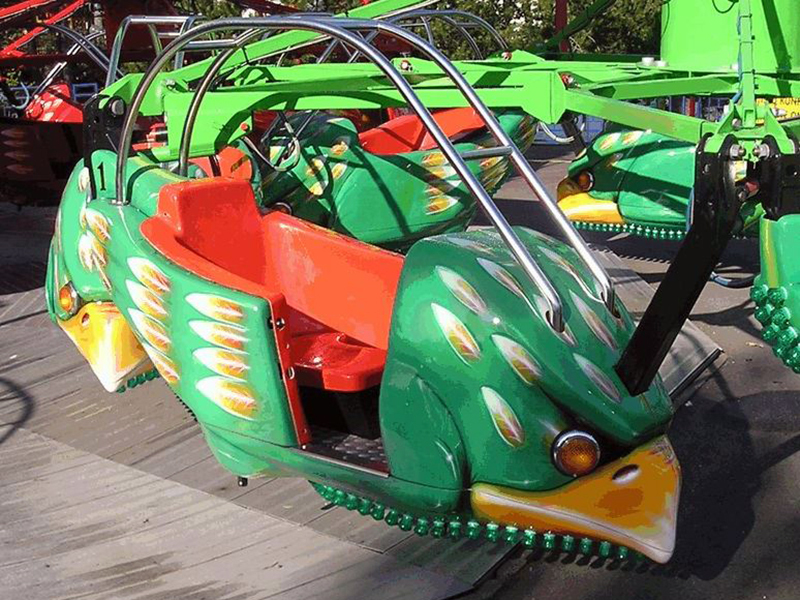 This outstanding combination creates completely different ride experiences for passengers - smooth with a comfortable feeling of safety or more exciting with a suspended element. 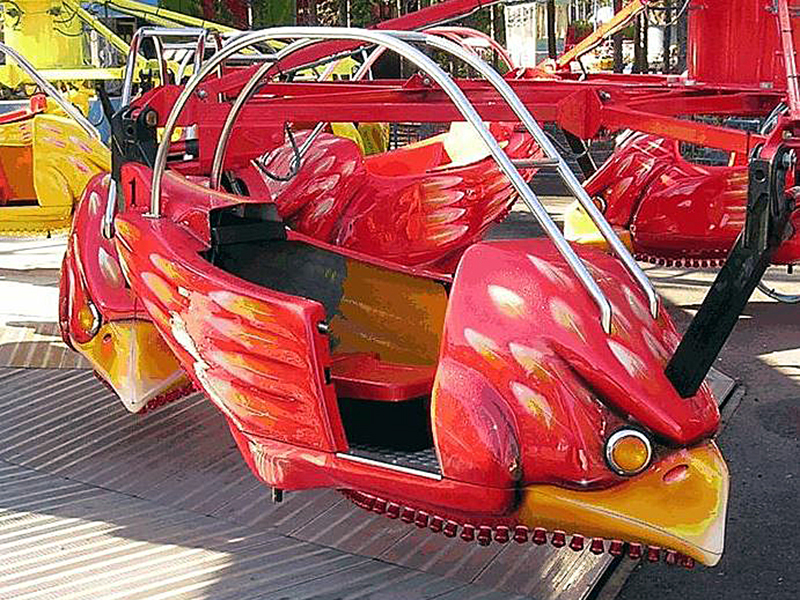 In fact, it’s really two rides in one attraction. 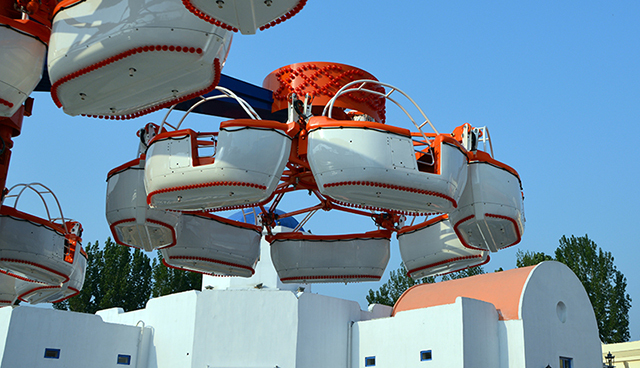 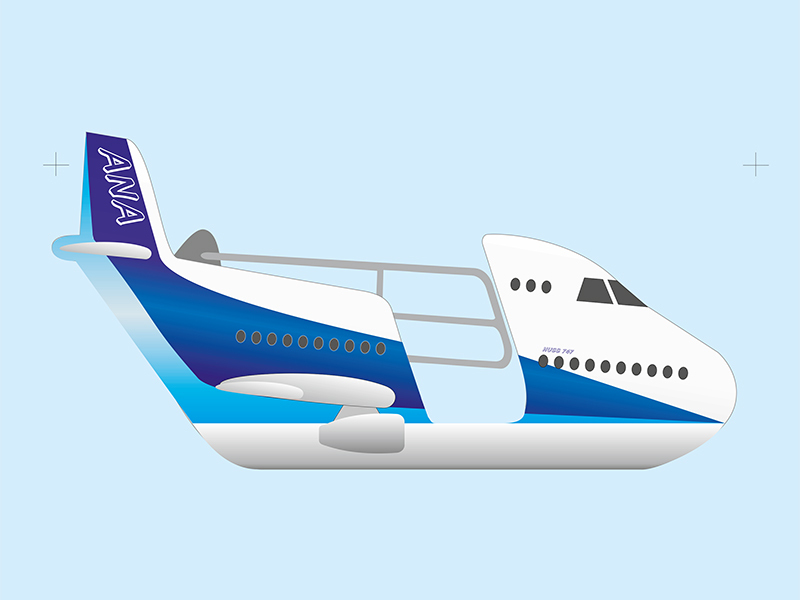 CONDOR provides exciting options, more thrills and a wide family appeal.